We have heard the Android-x86 project aims to porting Android to common x86 platforms but the Android-x86 Ice Cream Sandwich is still buggy at the moment and not all computer hardwares are fully supported especially the WiFi. 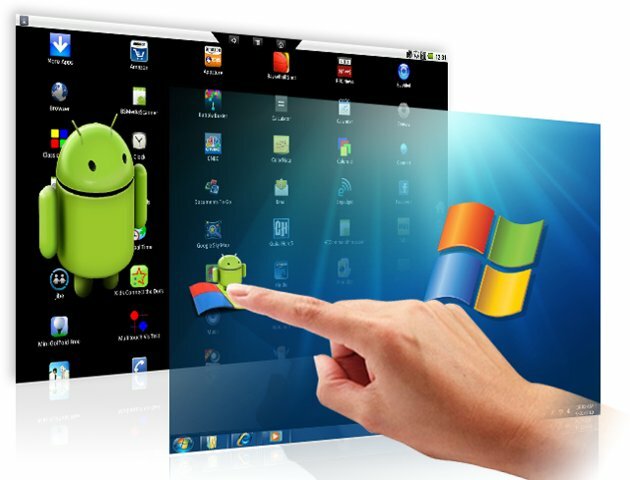 Now here's the good news for those who wants to run Android apps on Windows PCs or tablets. The BlueStacks App Player allows you to do this without any modification to your Windows operating system and they just announced 400,000 Android apps will be available on Windows 8 this year. Download BlueStacks App Player and install it. Open BlueStacks App Player, click All Apps button and click Get More Apps. It will open your default web browser, then sign up a BlueStacks account. After you signed in, click Cloud Connect and it shows you an unique BlueStacks Channel Phone PIN. Install BlueStacks Cloud Connect app on your Android smartphone from the Android Market. Launch the BlueStacks Cloud Connect app and login with your BlueStacks Channels PIN. The Cloud Connect app will shows you all your Android apps and you're ready to sync them to your PC.